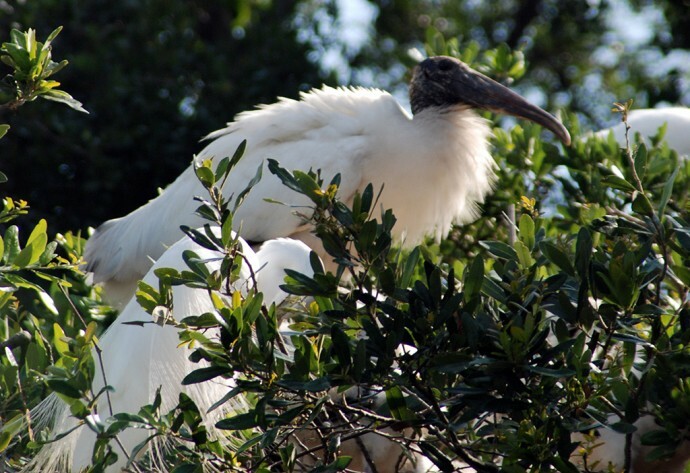 Wood stork | Florida Hikes! The only true stork native to North America, the wood stork can have a wingspan of over five feet. Once highly threatened due to habitat loss in its nesting areas, it’s made a spectacular comeback and can be seen throughout the Florida peninsula.